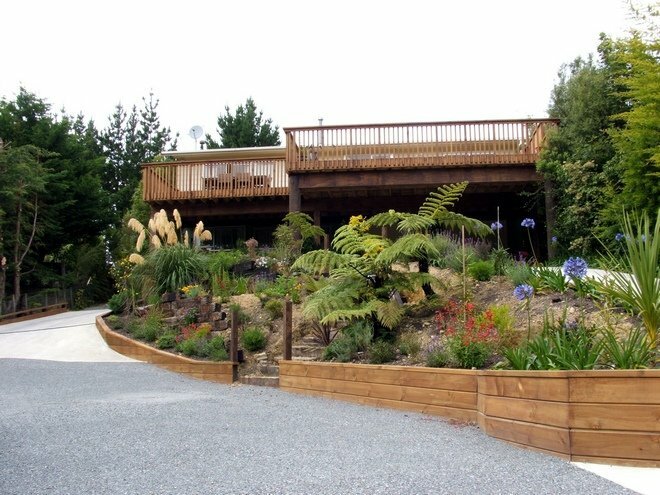 This job involved landscaping at a new house in a new subdivision. 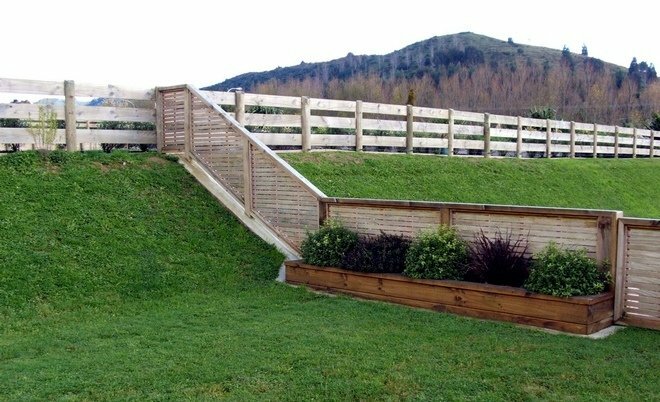 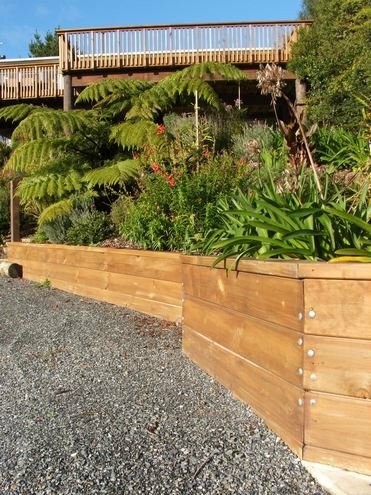 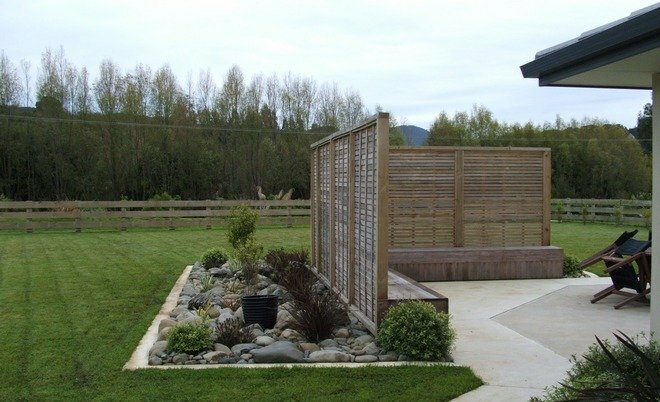 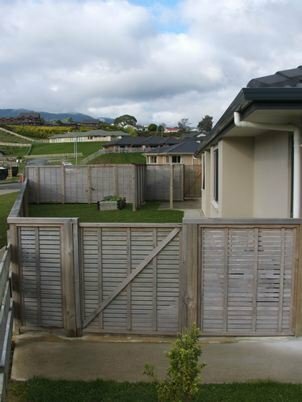 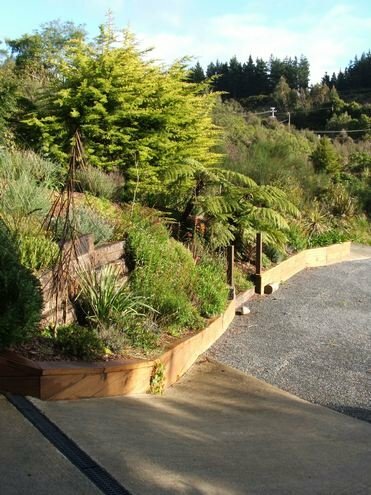 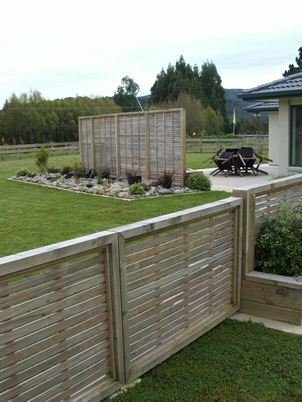 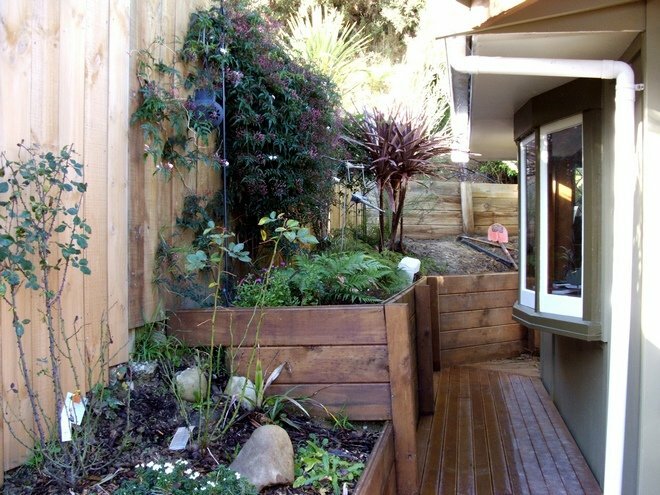 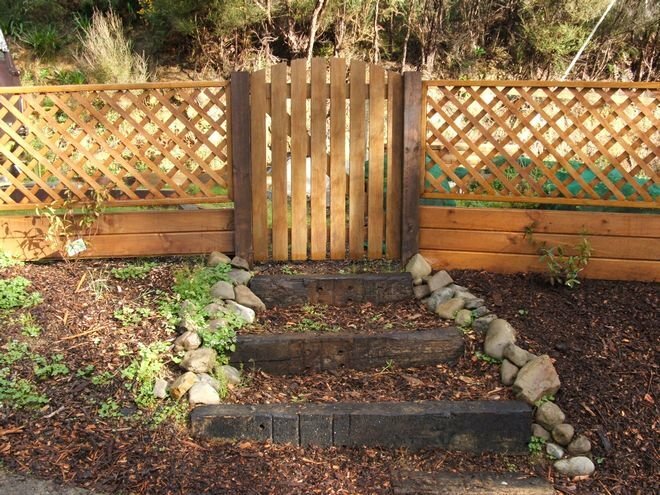 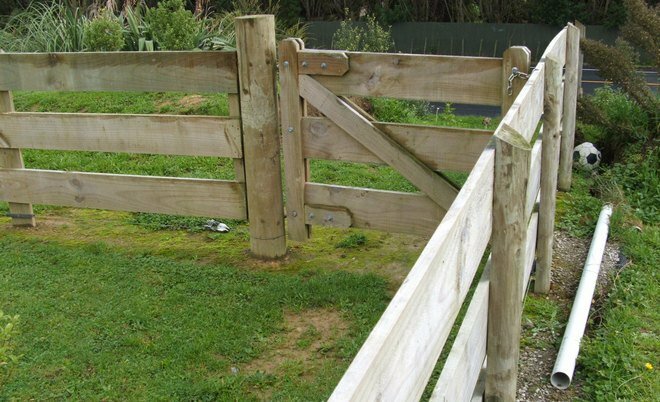 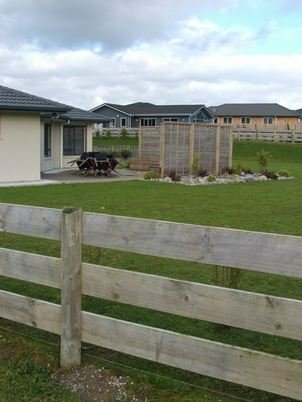 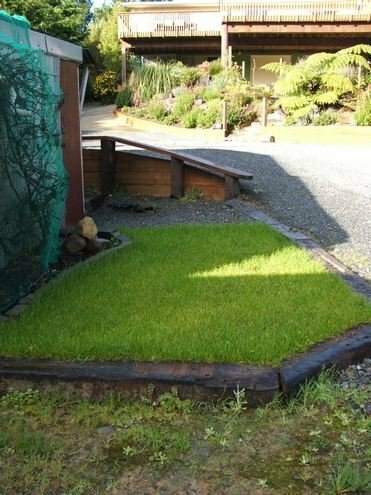 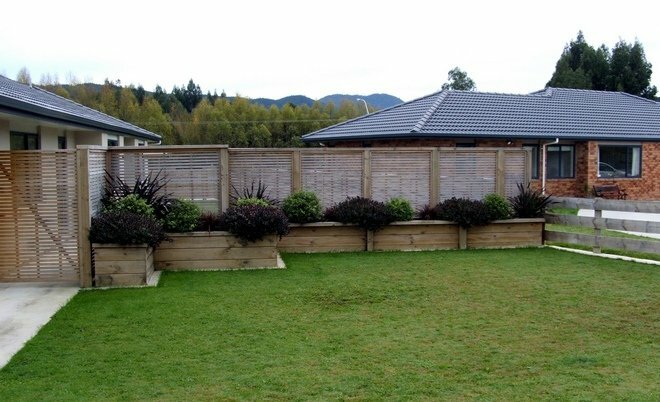 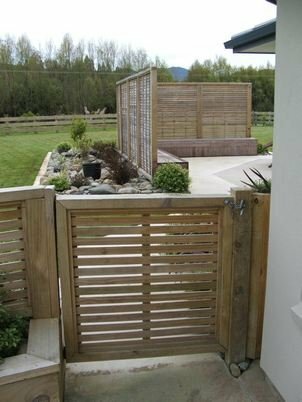 It was necessary to create a private back yard-separating the front from the back, a concreted outdoor living area, paths, gates and a fenced off area for a dog and vege garden. 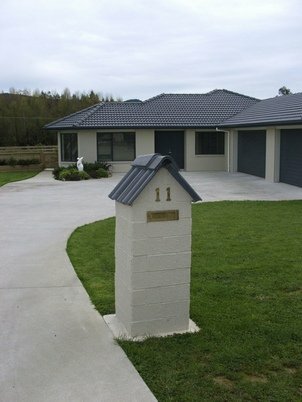 It also included a letterbox and access way for a boat. 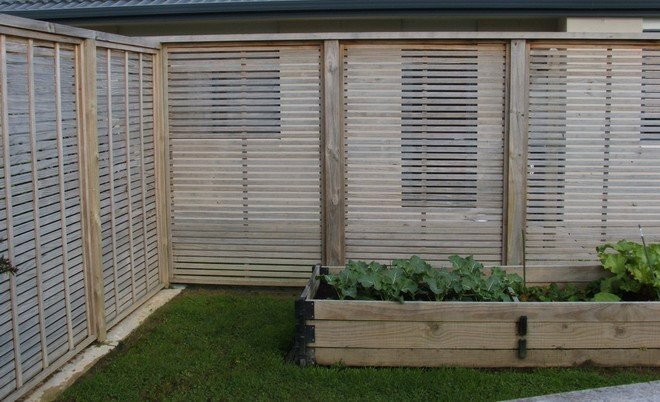 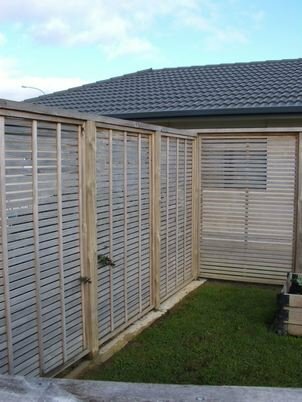 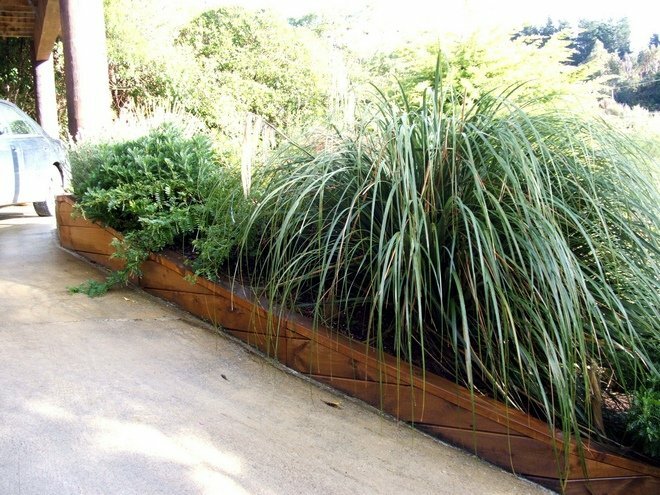 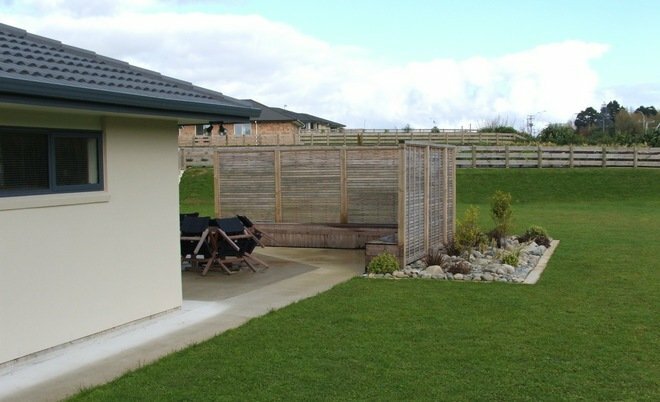 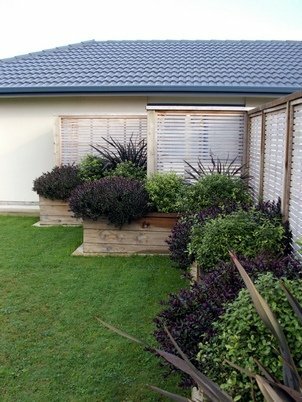 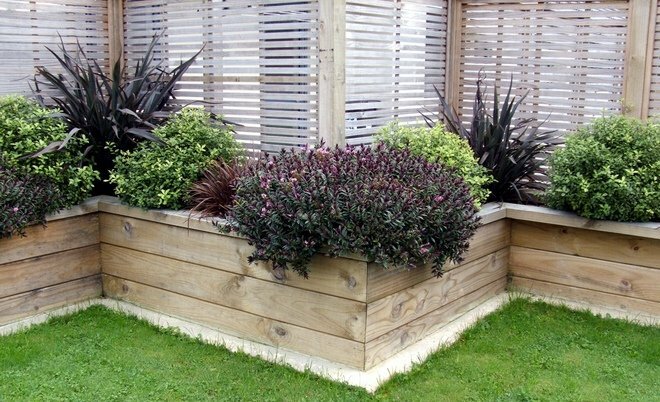 The use of screens and raised planters gave the clients immediate privacy and shelter rather than having to wait for trees to grow. 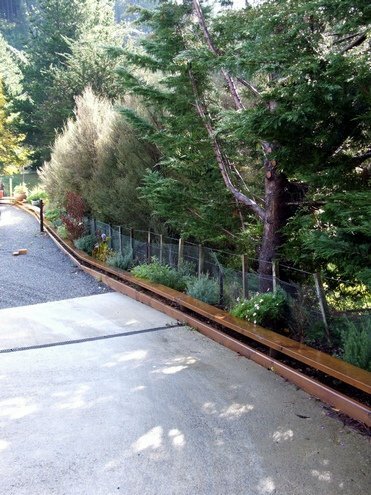 Extensive drainage trenches were dug and filled around the perimeter of the whole property. 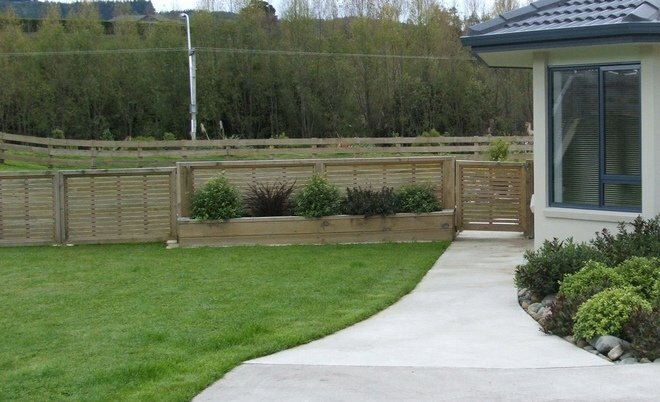 This project was mostly completed over 12 months and extra work completed as the client could afford. 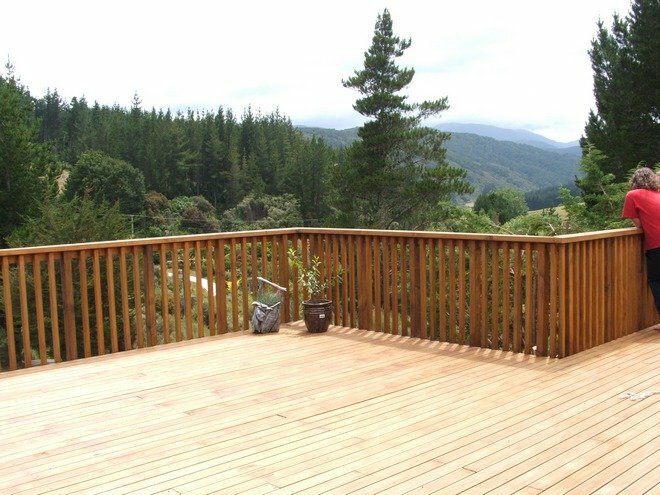 The first stage was constructing the 2 large decks which were designed to be able to be the basis for further house extensions. 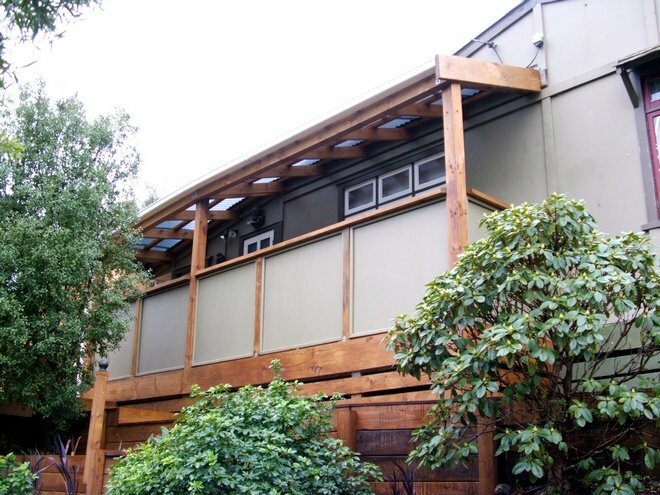 Engineer designed steel beams were manufactured and fitted as the main support. 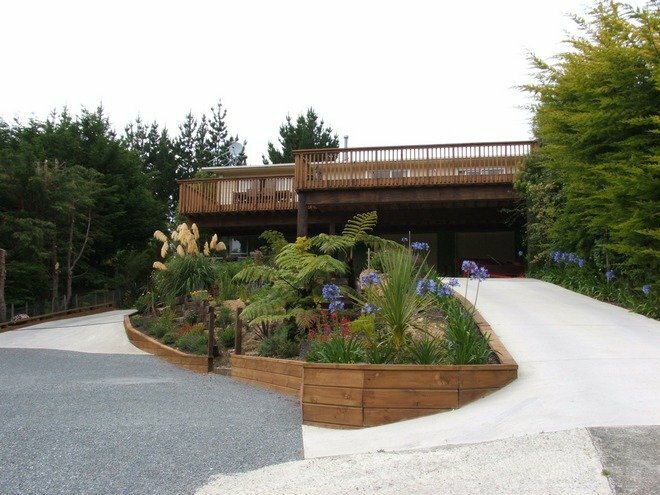 The second stage was the new concrete driveway with retaining walls and garden planters. 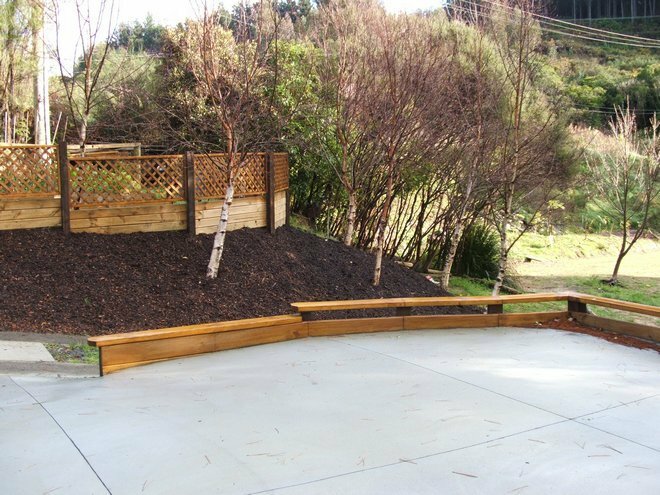 The next stage was to create 2 carpark areas by the garage, one gravel the other a concrete pad and retaining walls. 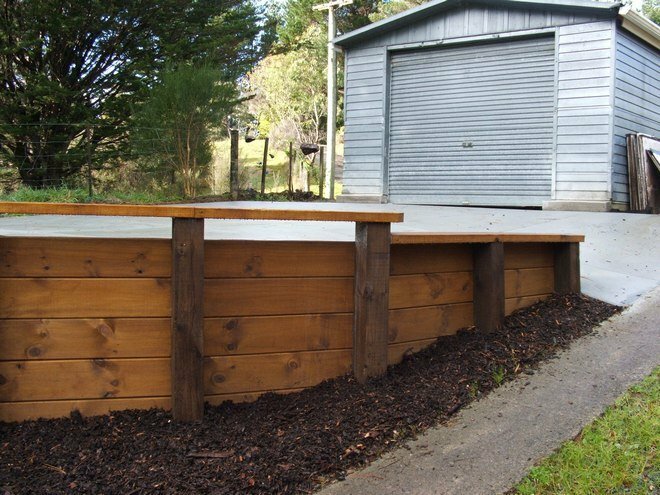 Access steps to the garage, new concrete floor in the garage and plumbing and septic tank installation were the final stage of this job....so far. 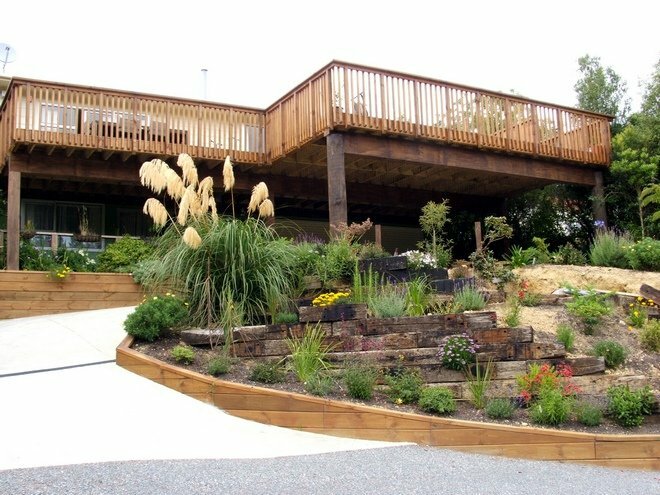 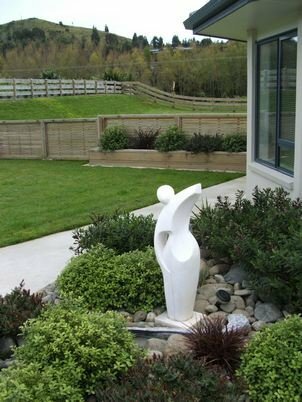 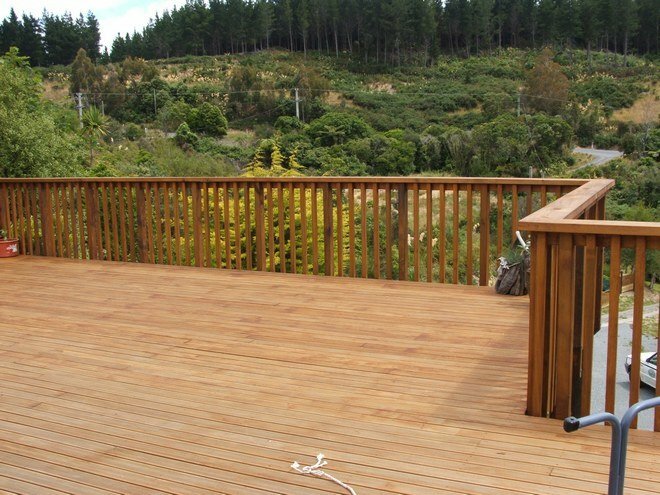 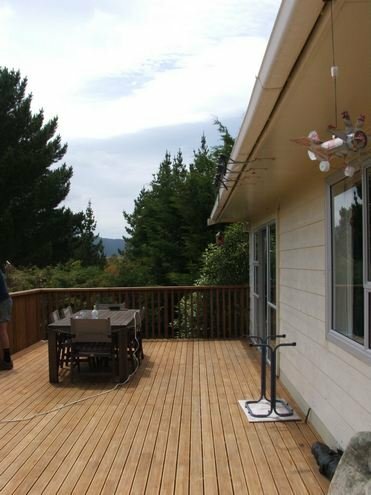 This project was on a very small steep site with little flat land and was completed over 2 years. 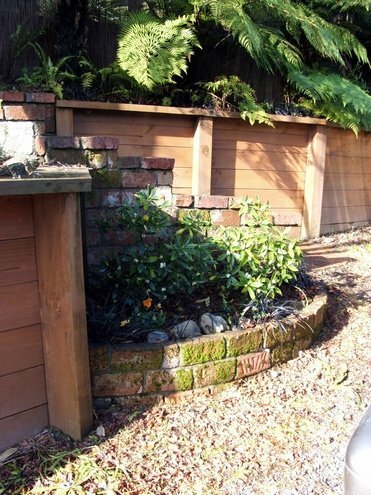 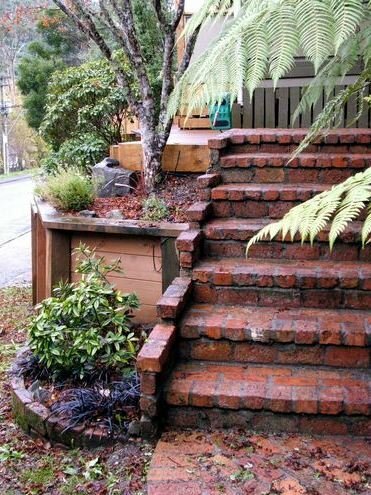 The first stage was the large retaining wall alongside the drive and the brick steps and planter up to the front door. 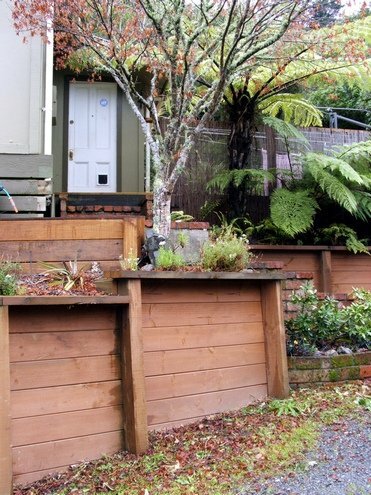 The second stage was the addition of a small art studio off the end of the bungalow. 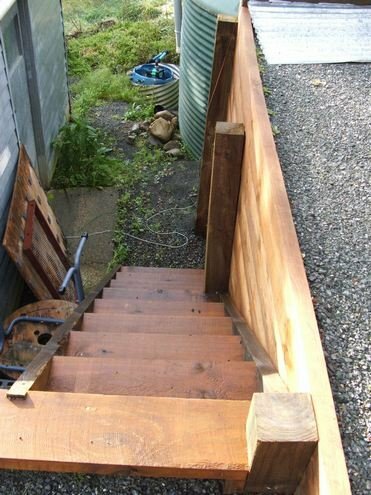 This involved the excavation of the bank at the end of the house and a retaining wall. 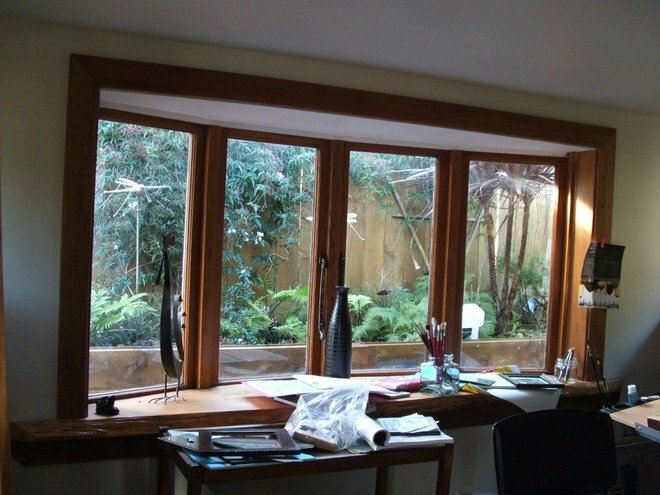 The windows and doors were recycled to retain the character of the house. 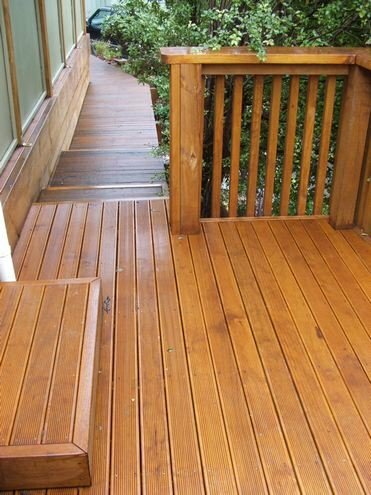 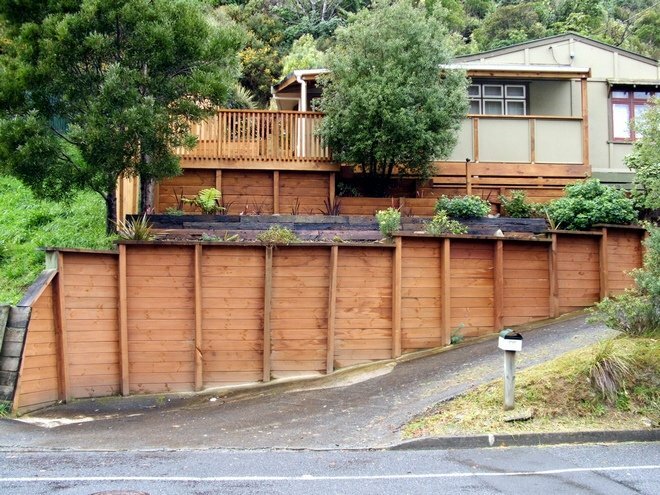 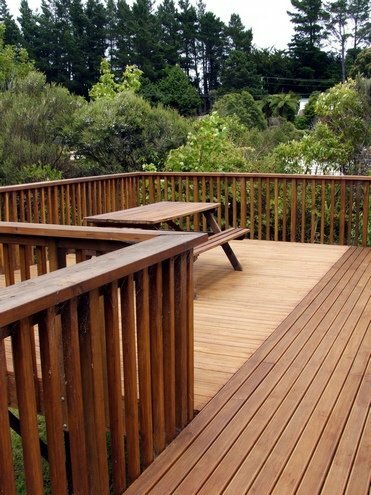 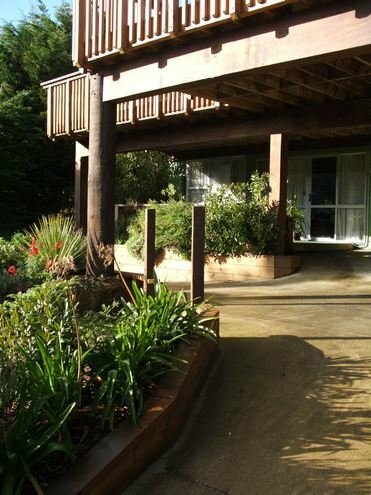 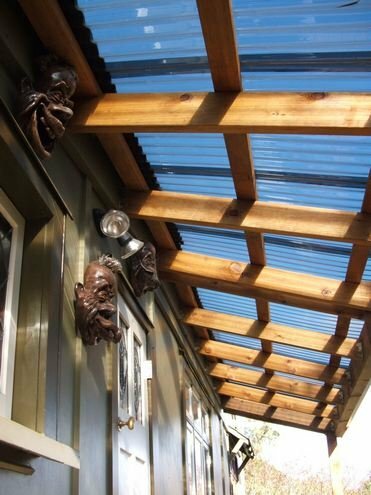 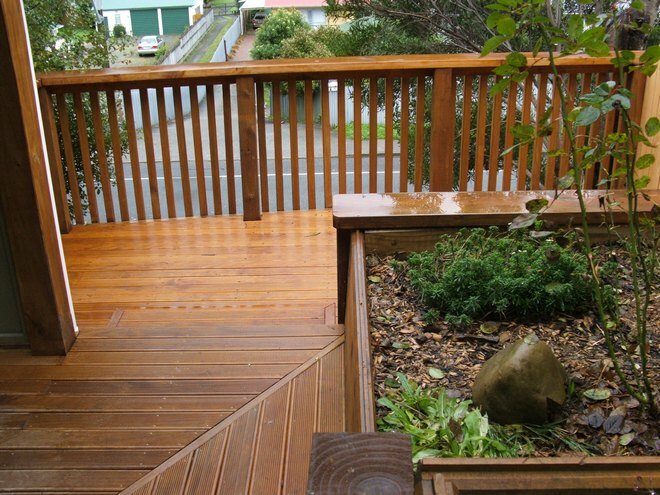 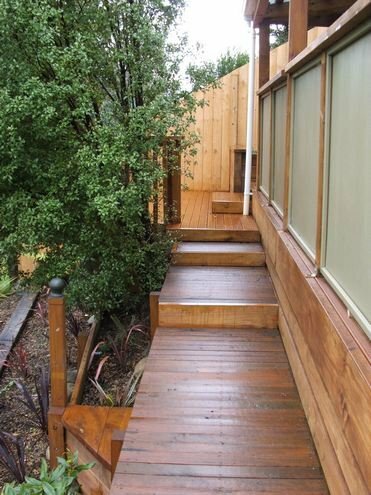 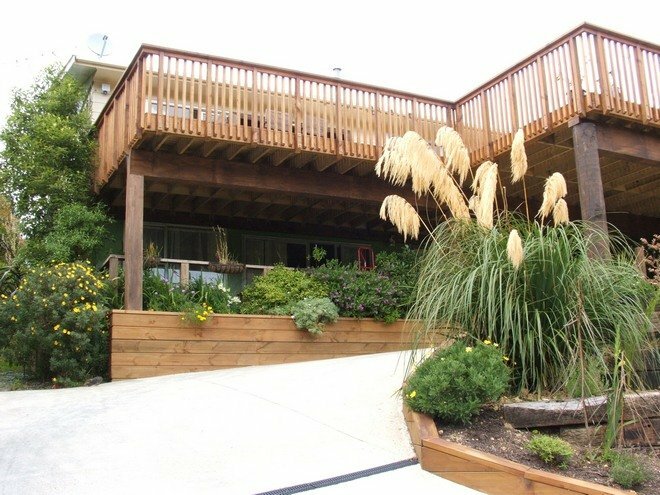 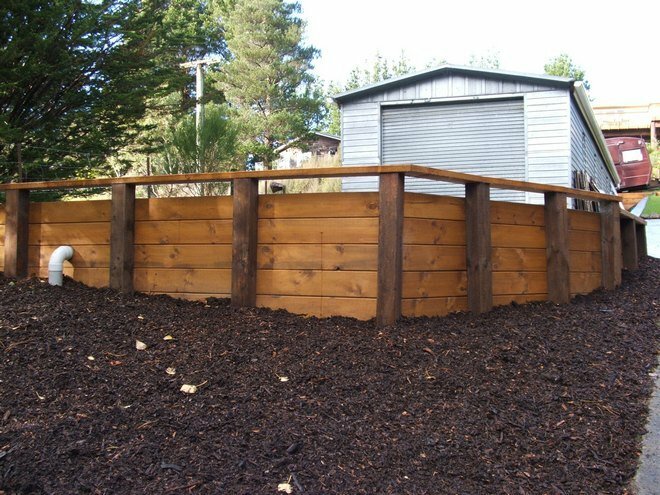 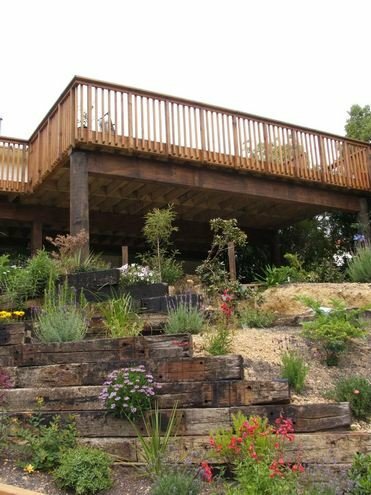 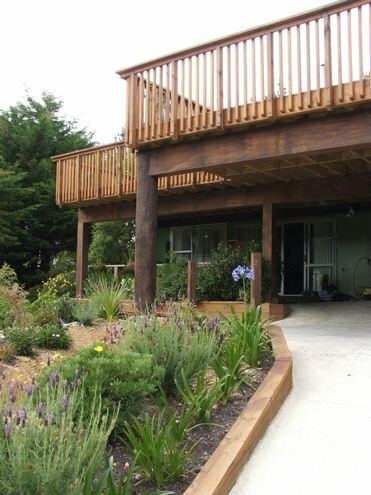 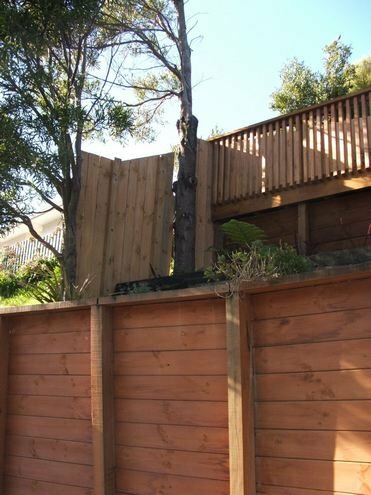 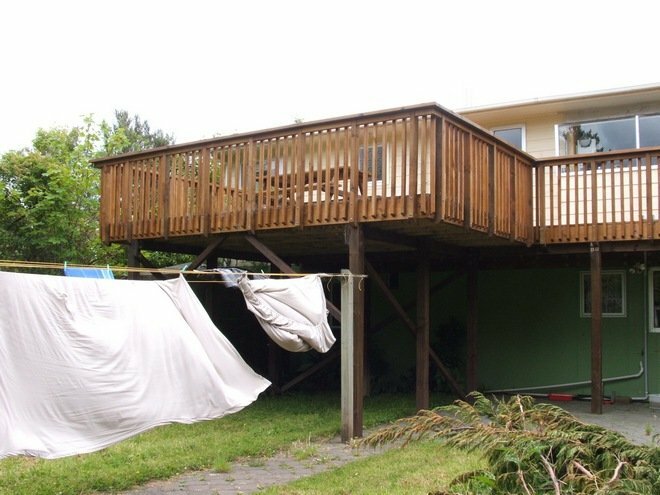 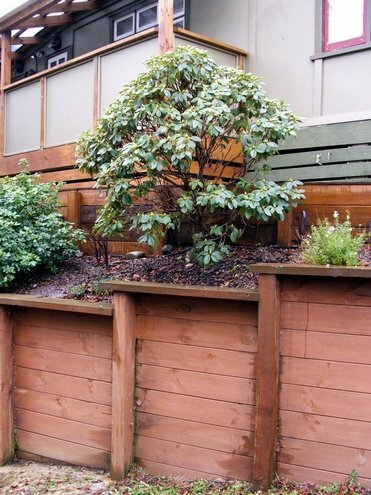 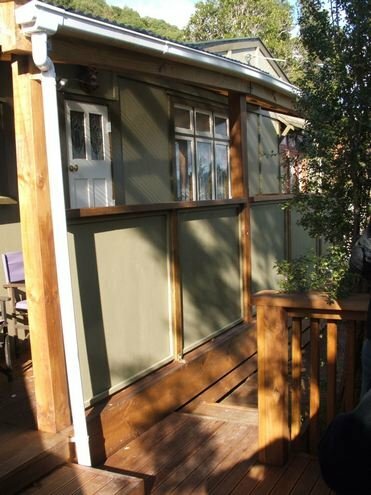 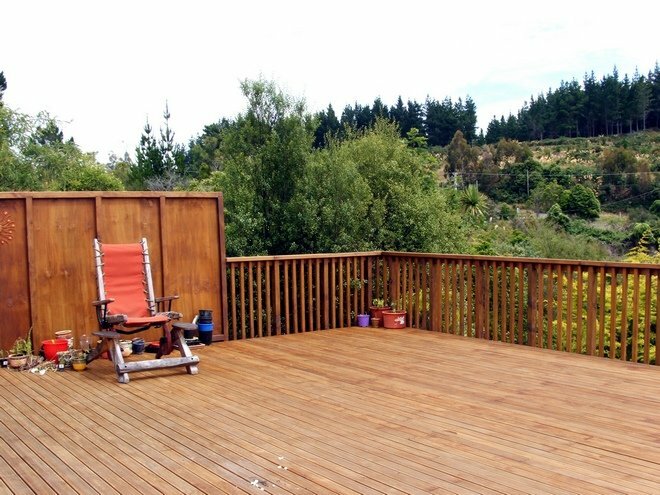 This was followed by wooden deck access ways and planters around the entire house and a wooden boundary fence which involved some tree removal. 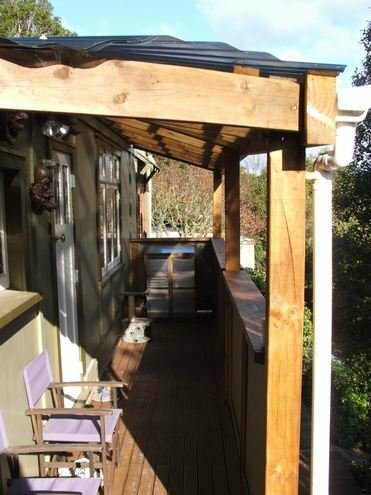 The next stage was a new closed in veranda and porch area off the studio. 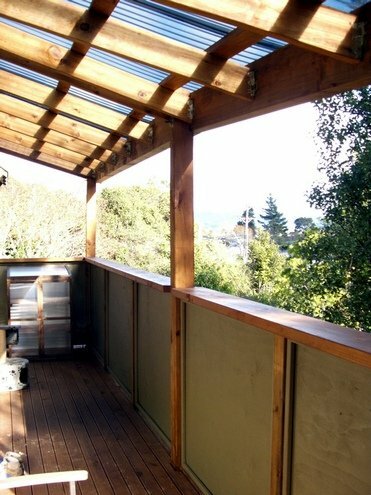 Finally the clients wanted a small private deck area over the garden to catch the evening sun.